Title text: I'll be honest--the 1950s were a rough time for cycling. Randall created what is supposedly a 200 year history for bicycles with 13 designs ranging from 1810 to 2016. However, a cursory glance at each one shows that they are almost all fictitious, heavily flawed, and most don't even fit the definition of "bicycle". The main point of the comic is to show off these silly joke designs. The only model that both looks like a real model and fits the year is the 1875 model, which resembles the Penny-farthing. The Penny-farthing was popular in the 1870s until the Safety bicycle took over around 1880. The 1875 model appears to be missing handlebars, but it's worth noting that on the real bicycle, the handlebars were very small and close to the saddle, and may be too small to appear in the drawing. The 1860 model looks like the American Star Bicycle, but that bicycle was first invented in the 1880s. The 1900 model looks like one of Paul Scheerbart 's perpetual motion machines. Some of the other examples of "bikes" could, however, look like those in the image at the top of the Velocipede Wikipedia page. Several of the "bikes" are shown with a human — Ponytail is "riding" the pole-vaulting bike, Cueball appears in four designs, and Megan appears in three. These humans provide a sense of scale and, in some cases, a demonstration of how the bike might be operated. Cueball's appearance in the 1900 design shows how huge that bike is, appearing to dwarf the previous two models while continuing the short trend of ever-increasing size. Only two of the bikes have pedals (1875 and 2016) and another two have a sprocket with a chain (1900 and 1980). Seven designs include a seat for the rider — eight if you count the device holding Megan in the 1980 model. The 1925 model is reminiscent of a fractal; Benoit Mandelbrot was born in October 1924. The 1880 model could be the result of an evolutionary algorithm trying to produce a bicycle. Some sub-optimal algorithms that have been given the task of creating a vehicle have been shown to misplace parts in ways that makes them completely useless and/or inaccessible — for example, placing a small wheel inside a much larger wheel. This comic (especially the 2016 bicycle) is possibly also a reference to The Science of Cycology, a cognitive psychology project run by Rebecca Lawson at the University of Liverpool, which asked study participants to draw a bicycle from memory. The error rate was high, supporting a hypothesis that humans over-estimate their ability to explain how things work. Gianluca Gimini ran a similar project, Velocipedia, in which he asked people to draw free-hand sketches of bicycles from memory, then later rendered some of the results as if they were real bikes. Also, the designs given for the years from 1825 to 1925 distinctly resemble designs that tend to evolve in the various challenge environments in the genetic evolution games BoxCar2D (Flash Player) or Genetic Cars 2 (HTML5). The 1980 design looks strikingly similar to the southpark "wild whacky action bike". The title text refers to the scene labeled "1955" which depicts Cueball being chased by 3 bicycle wheels. Whatever caused the wheels to chase Cueball down a hill is left to the reader's imagination. It could be that the wheels have become sentient and are actively chasing Cueball, or it could be that the bicycle failed horribly and Cueball is running from the wreckage. The era this "bike design" is from (1955, which is in the 50s) would be hard to ride a bike in if it was the only available design. 1810 A single wheel with a long curved bar. Ponytail is riding it like a pole vault. Unicycle, Pole vault There is no means to propel it once started, since the rider is held off the ground. It would be very difficult to balance on this device as well. 1825 A large wheel connected to a tiny one, with a complex bar leading to a set of handlebars. Cueball is pushing it from behind. Wheelbarrow This bike has no seat and no means of propulsion other than being pushed from behind, defeating its purpose as a vehicle. 1840 Two wheels connected by a single horizontal bar. Skateboard No means of propulsion or steering. Design is bottom-heavy, making it very difficult to keep balance. 1860 A large wheel in back and a small wheel in front, connected to a large seat on top. Megan is sitting on the seat doing nothing. Pennyfarthing (backwards),American Star bicycle No means of propulsion or steering. 1875 A large wheel in front with pedals attached, connected by a nearly-vertical rod to a small seat on top. A curved rod connects the seat to a much smaller wheel. Pennyfarthing (almost exact match) No handlebars are depicted, suggesting that there is no means of steering. 1880 A very large wheel, connected by a short rod to a much smaller wheel and a seat. These hang from the axle at an odd angle. Unicycle (vague) The seat and small wheel appear to hang inside or next to the large wheel. A rider could not sit on the seat and would be unable to touch the ground, making it impossible to propel or control the bike. 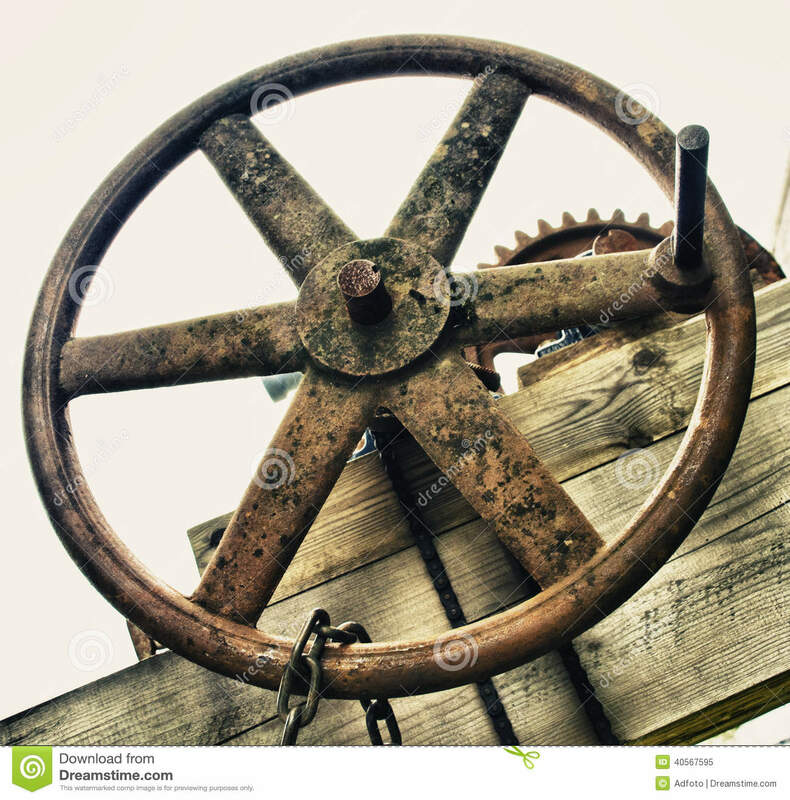 1900 An extremely large wheel, connected by a chain to a roughly human-sized wheel on top. Cueball may be standing on it, but it's unclear what he's doing. He appears to be pushing a giant ball or a very big globe. Unicycle No means of steering, unclear means of propulsion. It would be very difficult to mount this device, to get it moving with human power, and to control and stop it. Additionally, it would require many resources to build and a building several stories tall to store it. 1915 A large wheel connected by an angled rod to a seat. The seat is connected by a nearly-vertical rod to an extremely small wheel behind the large one. Cueball is sitting on the seat, leaning far forward and apparently turning the large wheel by hand. Pennyfarthing, Wheelchair No apparent means of steering. Propulsion appears to be by hand, similar to a manual wheelchair, making the device both impractical and uncomfortable. 1925 A symmetric seat sits atop a vertical rod connected to a wheel. From the center of this wheel, the frame extends out both front and back toward the ground, with progressively smaller wheels attached in a fractal design. It appears that only the wheels at the very ends of the rods touch the ground. Unicycle, Fractal, Holman Locomotive No means of propulsion or steering other than pushing against the ground. Only the tiniest wheels touch the ground - if these are truly in fractal pattern, they would not withstand the weight of a rider nor be able to roll on anything but the smoothest of surfaces. 1940 A single seat is connected to four small wheels in a line. Each rod is separate, and the wheels are not directly attached to one another. Megan is standing on the seat and pushing the device forward with a long, flexible pole. In-line Skate, Gondola No means of steering or propulsion (using a pole doesn't count). Frame would very likely collapse under a rider's weight. 1955 Cueball is being chased down a hill by three bicycle wheels. n/a This scene suggests a spectacular failure of one or more bicycles, resulting in three wheels rolling down a hill. It's possible the wheels became sentient and are rebelling against humans. 1980 A wheel is connected to a triangular frame. Extending up from the frame appears to be a back rest. Just in front of the triangle is a sprocket with no pedals. Two long bars connect from here to a front bar, which extends down to a second wheel and up to a very long set of handlebars. The sprocket connects to the front wheel. Megan is crouched on top of the sprocket with her back resting against the rear frame. "Chopper" Motorcycle, Women's Safety bicycle No apparent means of propulsion unless the sprocket acts like a cog wheel, requiring the rider to essentially run in place to propel the bike, which would be difficult and uncomfortable in Megan's position. While this is the first of the designs that shows a clear means of steering, the chain would interfere. 2016 A rear wheel has pedals directly attached to it, and is connected to a horizontal rod. A small fender is attached to this rod under the wheel and almost against the ground. A kickstand hangs down and forward. A triangular frame extends upward toward the front, holding a milk bottle, and a second triangle connects to the front wheel, which also has pedals and a low-hanging fender. A set of touring-style handlebars is attached to the front. Two bars extend backward from the two triangles, and a horizontal bar extends backward. Just above the rear wheel, a seat is suspended inside a forked frame hanging down from the top bar. Safety bicycle The frame is over-complicated and, despite several strong supports in the front, would still likely collapse under a rider's weight. Front pedals would be nearly impossible to use. Seat cannot be used. Fenders and kickstand could easily strike the ground and interfere with the bike's movement. This page was last edited on 19 November 2017, at 08:09.